For this Southern belle…its all about life, love and law school. Love Fridays because theyre so chill. I love Fridays even more when I dont have a ton of homework lingering over my head. I do have this Apellate Brief due in 4 weeks, but we haven’t been given everything necessary to write it yet, therefoer I felt no shame in not doing it at that moment. 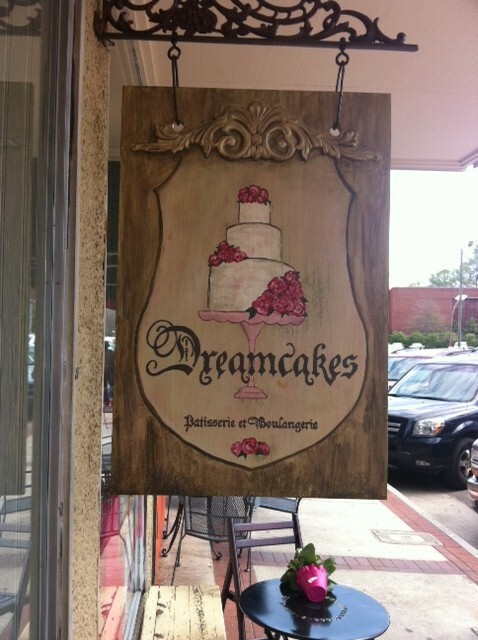 So, we took a little detour between classes to one of Birmingham’s finest and most famous places, Dreamcakes! One nice thing about living in a new town is that there are tons of places to exploire. Granted, it will take a lot for something to replace Crave Cupcakes in Houston for me, but Dreamcakes definately was delicious. These people are just living my dream while I am chilling in the library reading. I had a “Just Because” red velvet cupcake with cream cheese cuttercream icing, because I am a sucker for all things red velvet. My friend has an “Over the Moon,” and I am clueless as to what is in it, but it was good and they looked adorable! Fortuantely, I have an excuse to bake today for a friend’s birthday and I will be making a new recipe I dreamed up. Hopefully it tastes good, because I don’t have time to remake anything! 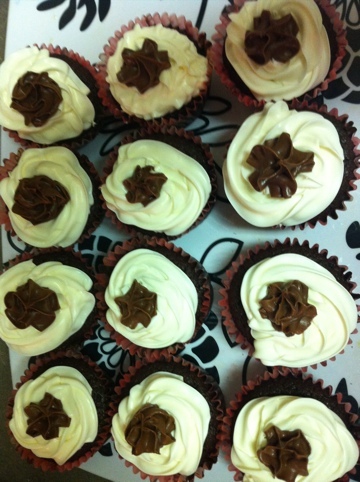 They are a chocolate spiced rum cupcake with a chocolate buttercream and chocolate shavings on top. They are for a guy so I dont want to get too foo-foo with it. Here’s how they turned out! I’ll let you know how everyone likes them tonight! I’ve been watching too many episodes of cupcake wars and have decided that booze sounds very fun for any cupcakes. There are quite a few alcohols I want to try! 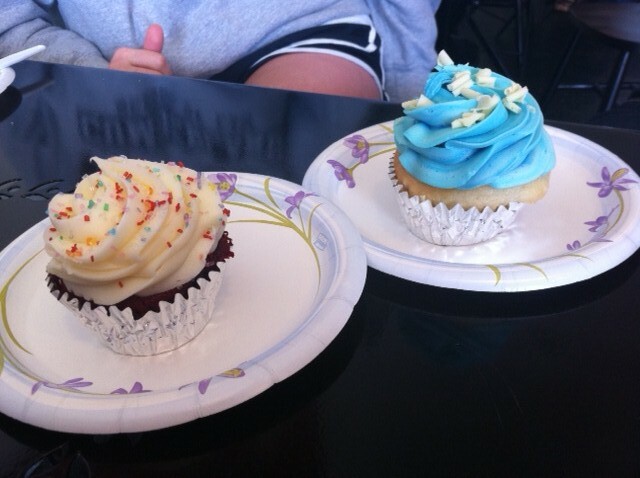 And cupcake baking keeps me from reading more Evidence…not that I dont LOVE memorizing all the Federal Rules. And back in the read world, after the birthday dinner I’ll be spending the rest of the night doing tournament prep for tomorrow. We have 6 matches tomorrow going from 9am-7pm, so it will be a very long day. My current dillema is such…we are playing at a local high school who doesn’t allow food tables inside the gym. And its apparently supposed to rain all day. It has been absolutely beautiful in Birmingham ALL week, and now it decides it is time for rain. So I am on the hunt for pop-up tents and canopies to put the food tables under and keep things dry for the girls! Planning and coordinating can sometimes get complicated, but it always comes together and we make the best of it! Play Prep: As a coach, I like to make sure I am packed the night before and ready for everything, so I can wake up and focus on playing. Lord knows I’m not always a morning person and forget stuff! 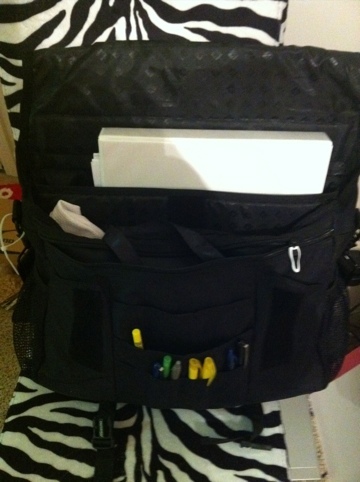 I check my bags and ensure the stats sheets, line-up sheets, pens, pencils, whistle, contact numbers and everything I need is there. I like to keep some athletic tape, prewrap, scissors, hair rubberbands and some Bobby pins on hand just in case there’s an emergency on the bench. I also always keep a secret stash of Diet Dr. Pepper in the briefcase as a pick-me-up! I’ll keep you posted how it goes tomorrow, I have a good feeling! Hi everyone! I am Samantha-Anne, a 23 year old Texan blonde law student living in Alabama. Sounds like one big oxymoron, huh? I'm your typical Southern girl for the most part...pearls, football, country music, the whole 9 yards. For the other part, I wear sweats to class, think macaroni and cheese should be a food group, have a diet coke addition and think hair looks best in a messy ponytail. PeErfect is realative though, right? In my spare time (wait, we have that in law school? ), I coach junior national club volleyball, shop, run, and love to bake cupcakes. And this is my blog all about life, love and law school. Here you can read the daily trials and tribulationsof a 1L, the tricks of the trade from a seasoned coach and the general rantings of your not-so-average girl. . As I said...welcome! Get the uncut version…follow me on Twitter! Miss a day? Catch up on your reading! Don't miss out...be a subscriber to Simply Samantha! Don't have your own blog? You can subscribe too! Enter your email address to subscribe to my blog and have the posts sent to you! My blog is nor professional advice. I'm not a chef, a nutritionist, a certified sports medicine professional or a lawyer (yet.) I'm just a girl who tries to cook healthy for herself, coaches off personal playing experience, lives by the law she knows and understands and blogs for enttertainment. Seek out a professional if you need help is any of the above categories. Thanks for reading!